Beijing International Radio, TV & Film Exhibition(BIRTV) is China's top-notch exhibition in the industry of radio, film & TV, which has been well received by the broadcasting industry at home and abroad. Guandong Nanguang Photo&Video Systems Co., Ltd showcases not only the LED light, but also an innovation and new technology trial. A team of Nanguang staff was busying to introduce the NANGUANG products and showing lighting to visitors. There are variety of products showed in this exhibition, from LED on camera light to LED panel light and powerful LED spotlight, and also portable lighting kit interview lighting, and free foldable LED flexible lighting, for news, person interview lighting solution; even as the first domestic studio lighting to fulfill wifi LCD touch lighting adjustment solution. NanGuang booth was interviewed by multiply platform. 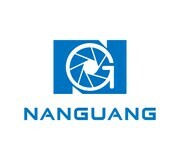 For more information, please welcome to visit NANGUANG booth 1B113.